All measurements were conducted according to our RFC 59 standard. Measurement protocol is enclosed within RFC document. 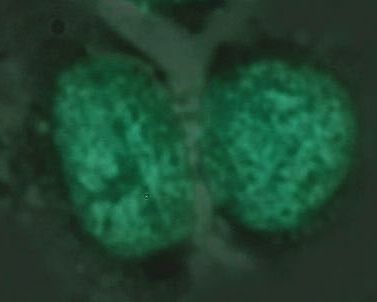 Microscopic observation of HeLa cells infected with BactoDHL confirmed the functionality of the system. During preperatics the Hirsch dye was used to enhance GFP glowing, which is a FRET-based effect (FRET - Förster Resonance Energy Transfer). 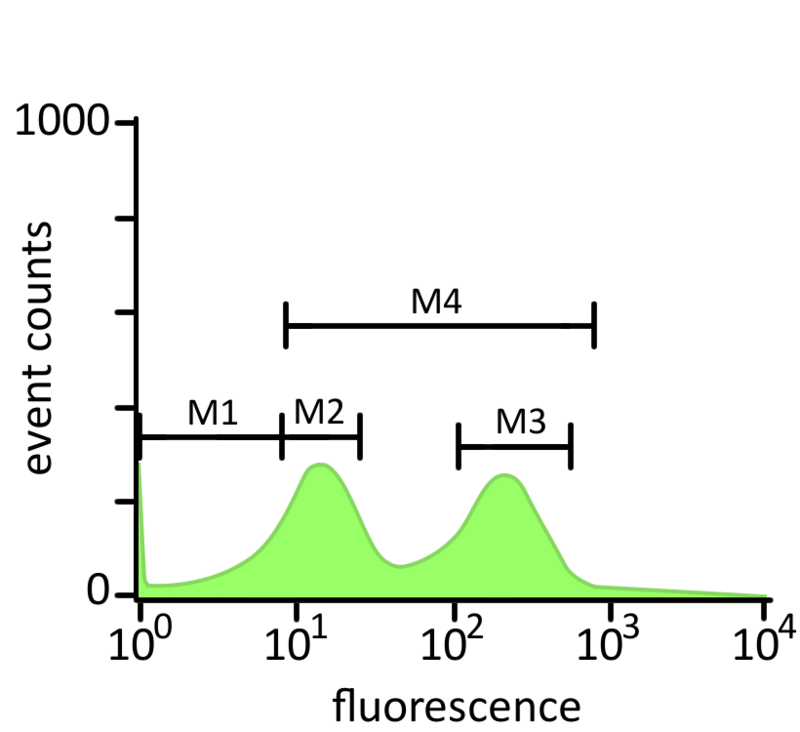 The light wave emitted by the Hirsch dye additionally excites GFP, what happens only when the the distance between the two molecules is not greater than 10 nanometers. 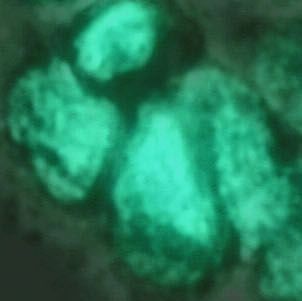 Infected HeLa cells can be seen as a mildly-glowing areas containing bright spots of GFP inside. 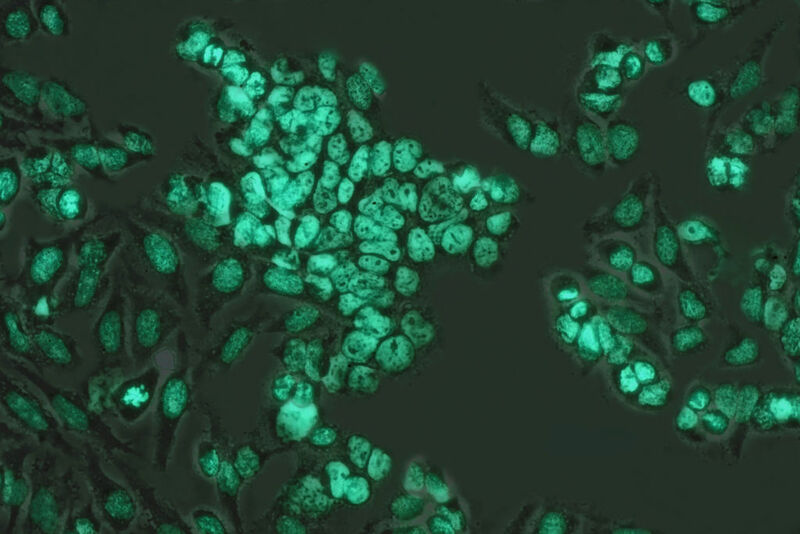 Pictures of HeLa cells transfected using our BactoDHL strain. Above are pictures in visible light, GFP fluorescence and Hirsch dye fluorescence. Below is computer generated overlay of those images. Succesfully transfected cells are significantly brighter thanks to FRET between Hirsch and GFP. In both cases two different “populations” of GFP can be observed, depending on two varying fluorescence levels. 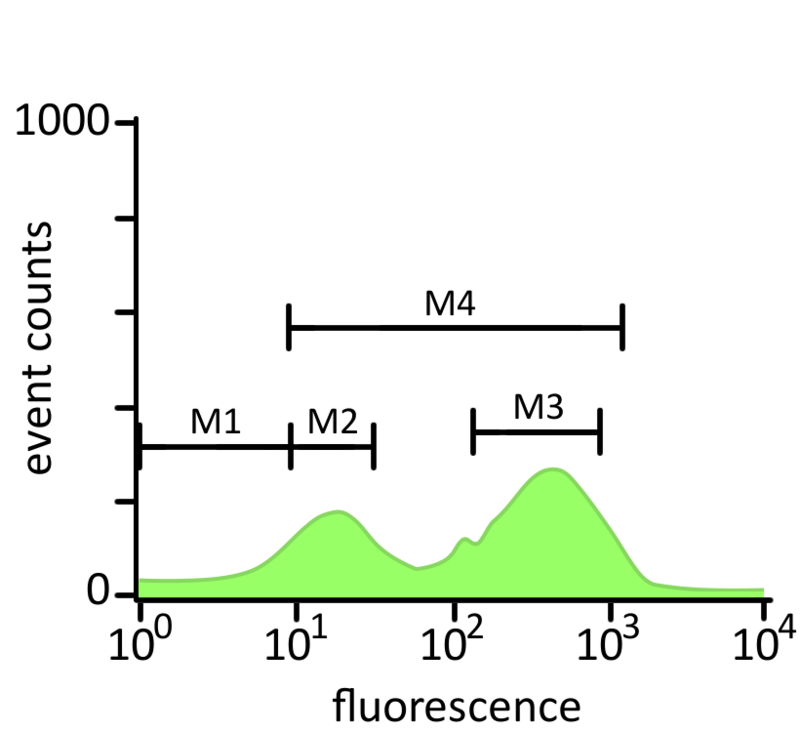 These represent the amounts of protein (indicated by marker M2 on histograms) still entrapped in endosome and (indicated by marker M3 on histograms) distributed to cytoplasm. 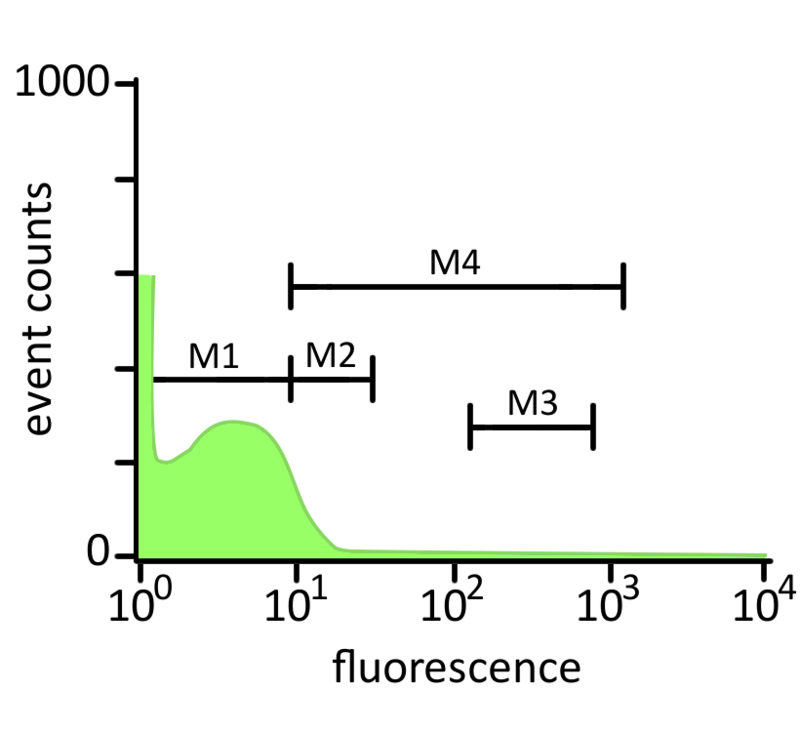 This interpretation is based on the results of many previous studies indicating that the GFP is able to act as a pH sensor. 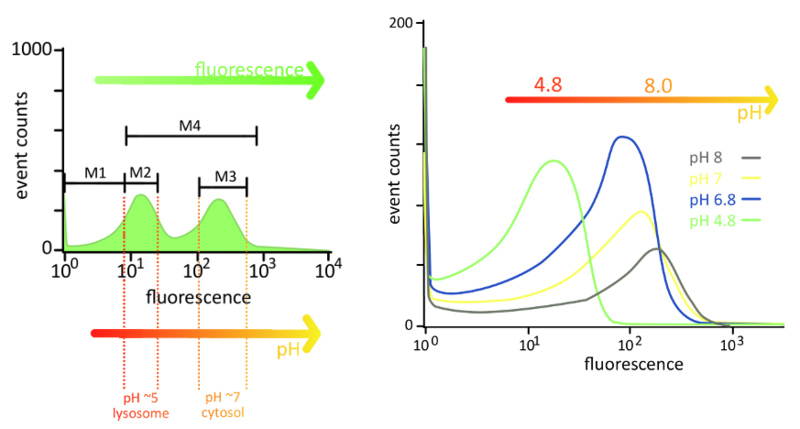 The existence of relationship between pH and levels of GFP fluorescence is a commonly known fact. 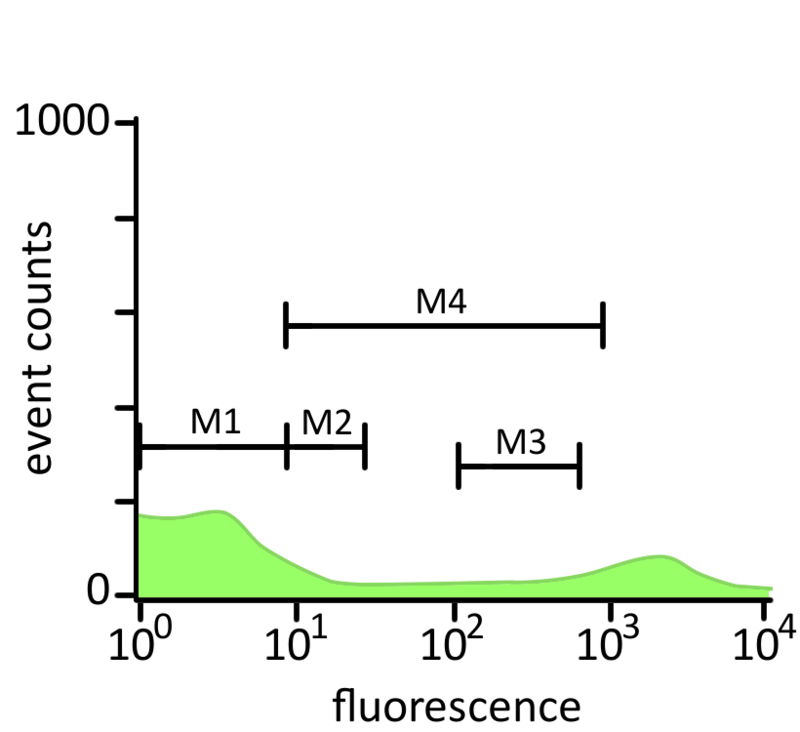 The Microfluidic system was used to investigate this relationship on the FACS machine used for BactoDHL-related experiments. 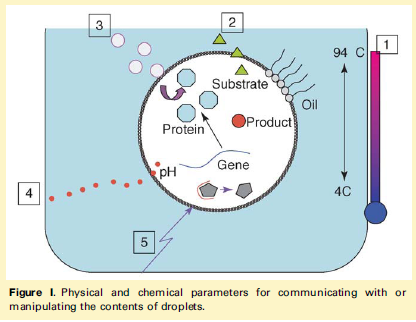 Microfluidic system, also termed in vitro compartmentalization (IVC) is a water-in-oil-in-water emulsion containing droplets as small as bacteria, having volumes of less than a femtolitre. Enclosing GFP in different pH buffers in such ‘beads’ provided the result without complicated transfection-based procedures. HeLa cells incubated with non-transformed Top10, GFP-producing Top10 and BactoDHL: percentage of GFP delivered to different compartments. BactoDHL proves to be highly efficient intracellular protein delivery system. 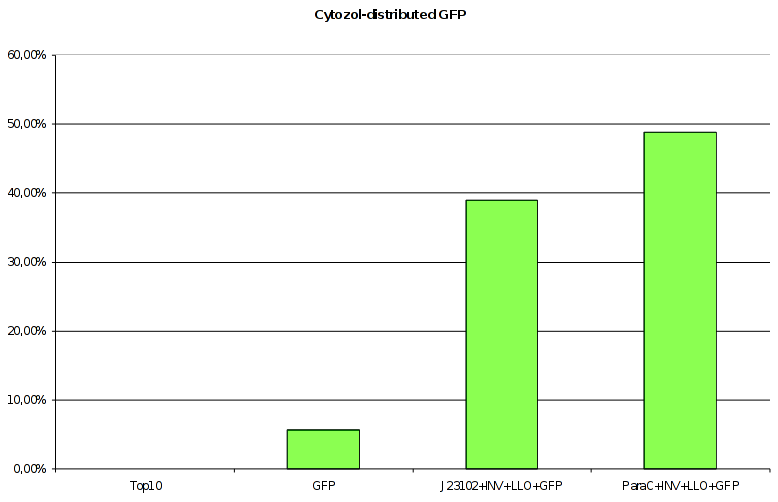 GFP was detected in the cytosol of 38,96% of HeLa cells incubated with J23102 version. The number for AraC is 48,82%.